Jack Ma (founder and executive chairman of Alibaba) quotes are a great source of inspiration. Jack Ma is a Chinese businessman and entrepreneur that had to overcome many obstacles and failures to reach the pinnacle of success with Alibaba, one of the world's most valuable companies. Alibaba is a large international E-Commerce company that has defied all odds and competes with Amazon and E-Bay. I hope you enjoy these motivational quotes from Jack Ma! Thank you Jack Ma for the inspiring business quotes! 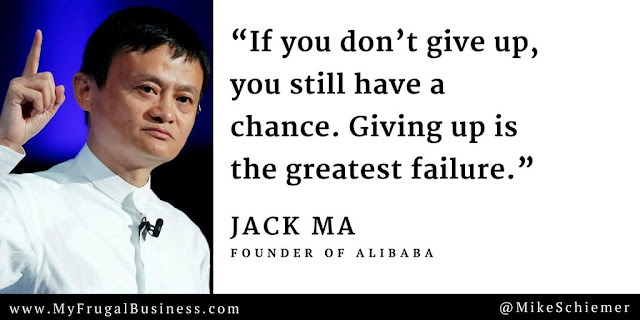 I hope you enjoyed these inspiring quotes from Alibaba founder and executive chairman Jack Ma. Interested in more motivational startup quotes?